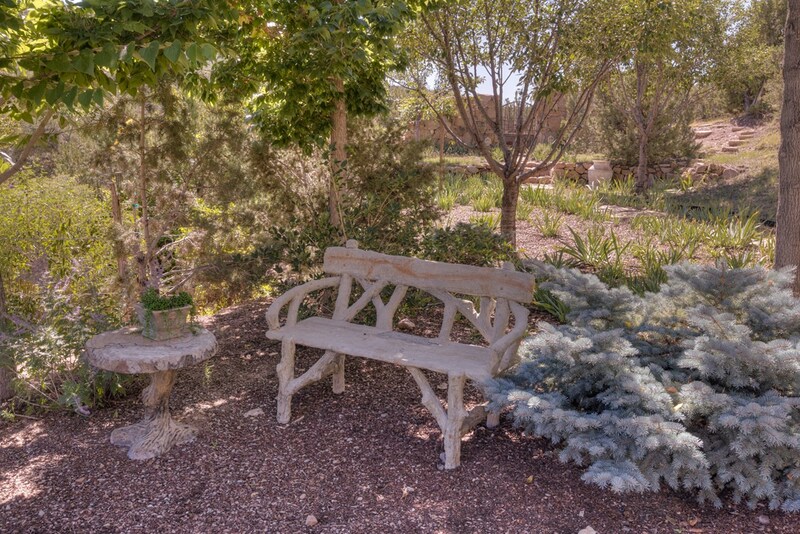 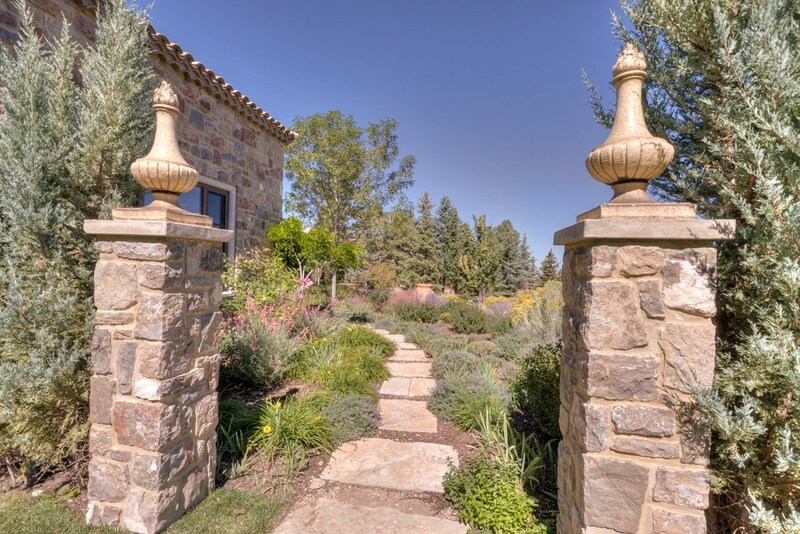 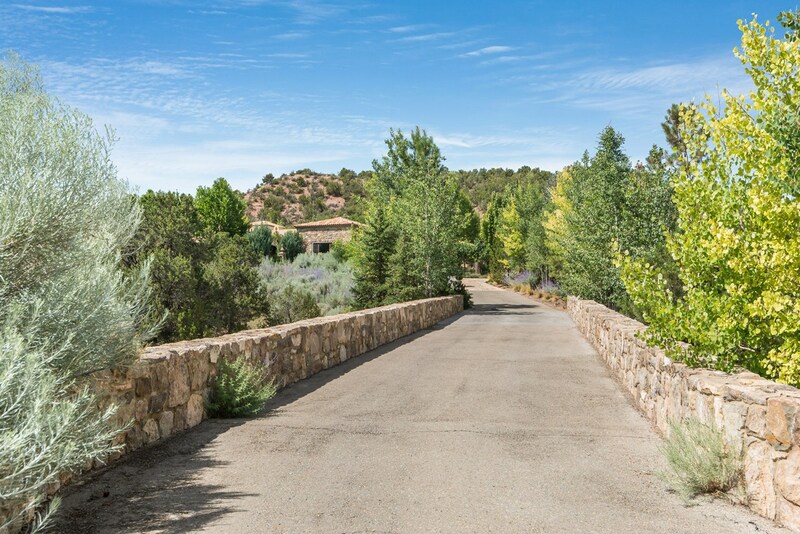 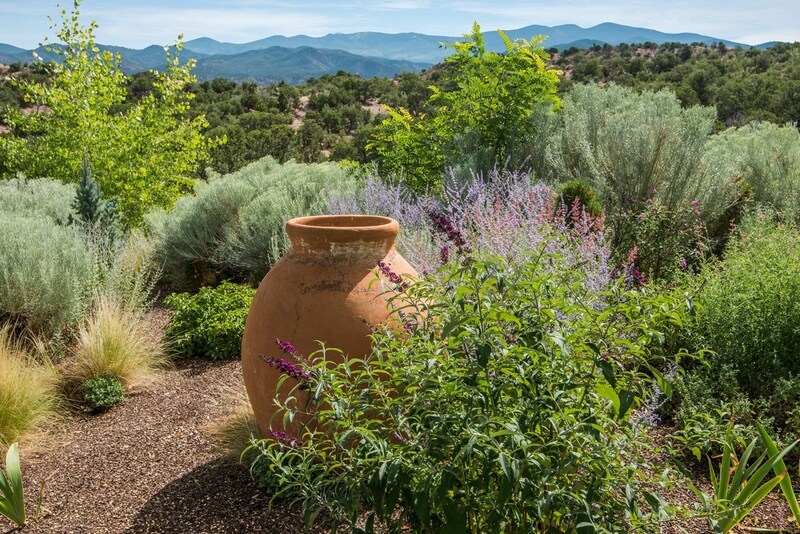 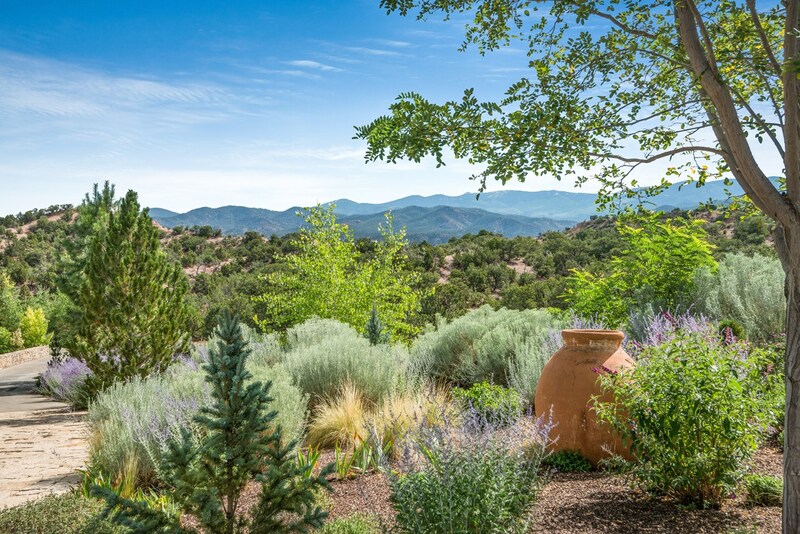 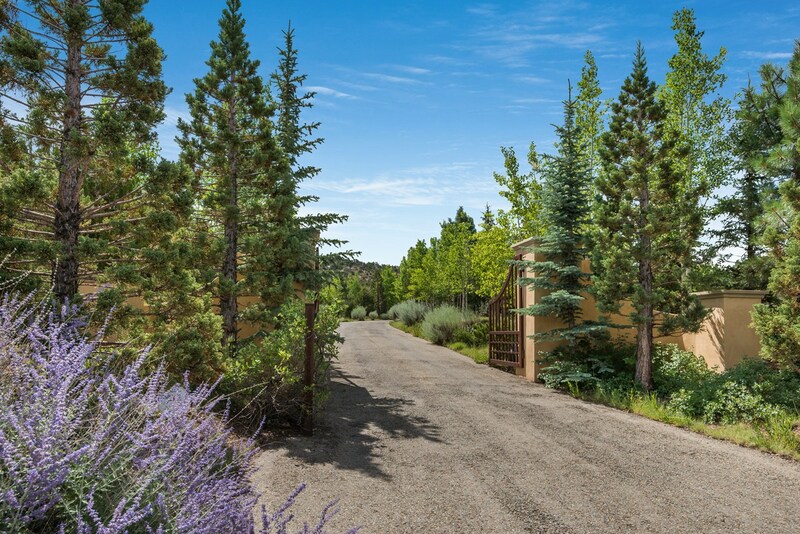 Accessed via a paver drive and a bridge that crosses an arroyo, the estate consists of three lots, providing the home with an inspiring uninterrupted Sangre de Cristo view. 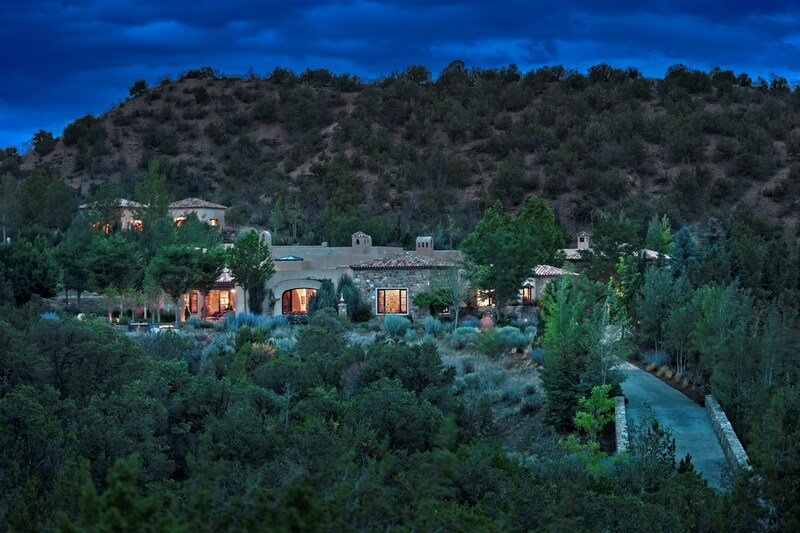 This vista and the home’s hillside position create a feeling of being a part of the mountains. 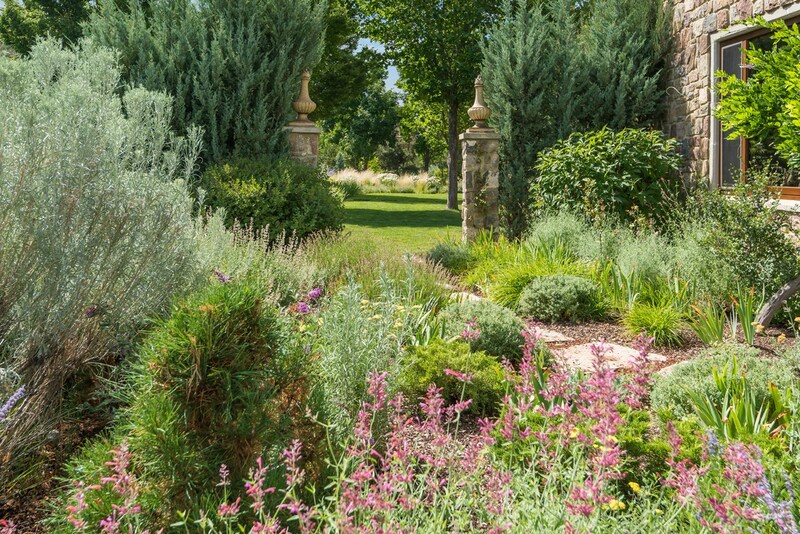 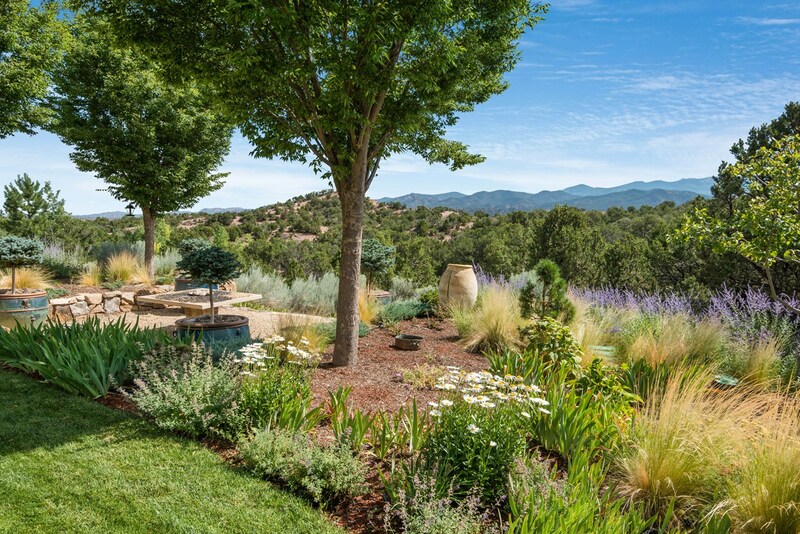 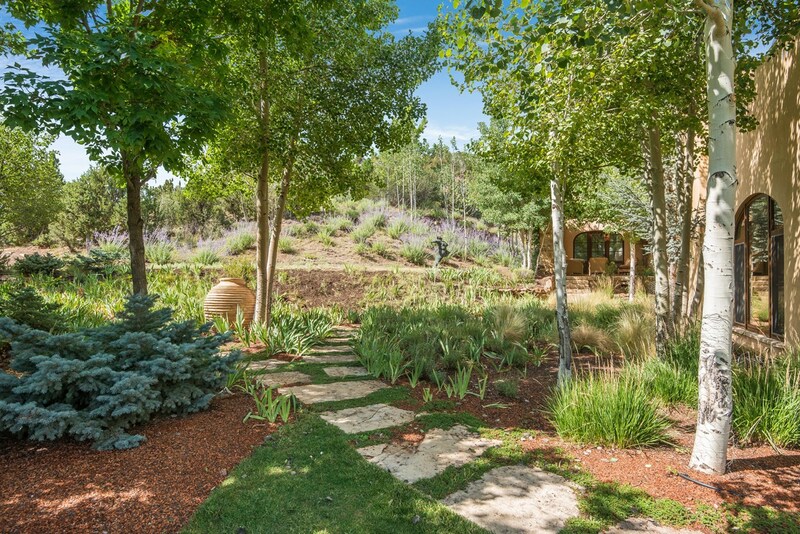 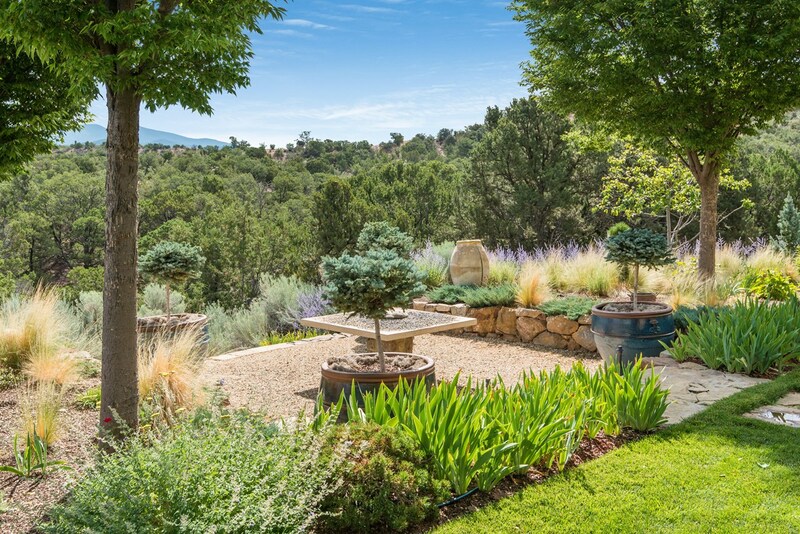 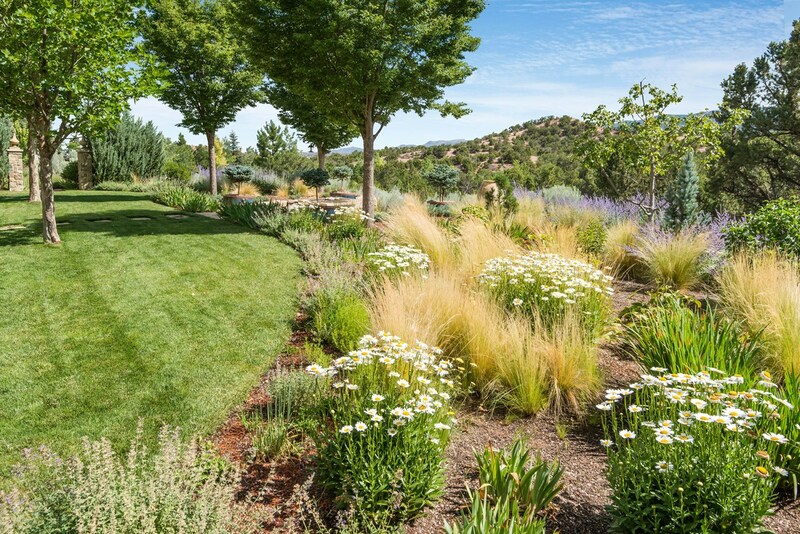 Landscaping — which includes mature aspens, numerous fruit trees, irises, roses, grasses, and a vegetable garden — provides vibrant color throughout much of the year, and variety of outdoor living spaces have been designed for utmost enjoyment of the views.